Personal - This is intended for personal use for sharing maps and spatial information. It applies a 2gb limit and puts limits on the functionality available. 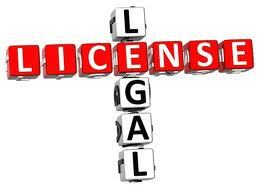 The license also prevents its use for commercial activity. Its not really clear how many people spend their evenings sharing maps but it does offer a handy way to touch and feel some parts of the software. Commercial - A fully featured edition with licensing for commercial use. This article will examine this part of the offering. ArcGIS Explorer (online and desktop versions). ESRI Maps for Office - a recent addition from ESRI providing Office Add In for Microsoft Excel. ArcGIS Online provides a vast array of online service options. 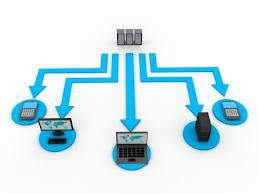 There are two main web service options: Hosted Services and Content Services. Hosted Feature Services - The service supports query and edit of features as vectors. Hosted Tile Map Services - The service provides pregenerated (cached) tiled map images. The service enables you to upload you data and it will generate map tile images from it and host them. ESRI uses elasticity to provide rapid pregeneration of tile images but the map images are pregenerated static tiles. Geosearch - The service provides searches for features or points of interest to support locating a map. Geocoding - The geocoding service provides forward and reverse geocoding for addresses, points of interest and administrative locations. It supports transactional and batches. Batches can be "Generated" or "Published" either returning their results or making them directly available as a map layer. Coverage supports USA, CAN and Europe based on Teleatlas data. Routing - The routing service provides routes and instructions with support for multiple languages. The coverage includes USA, CAN and Europe . The routing service is based on Teleatlas data. Geometry - commonly used geometric operations. Change CRS, Simplify, Buffer, Area, Length, Label Point, Convex hull, Cut, Densify, Relation, autocomplete, Cut, Difference, Generalise, Intersect, Offset, reshape, Trim/extend, union. ESRI also provides support for user access control providing support for restricting access to maps and data held within the service. ESRI provides support for SSL for all parts of the service securing your data in transit. Additional users (in packs of 5) and service credits can be added to these packages. 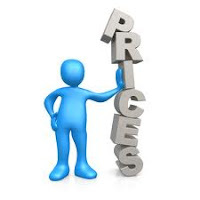 ESRI offers some special offers around these in addition to standard packs. 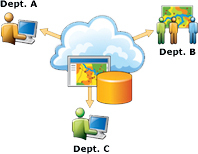 Service credits are based on use of geocoding, feature and tile services and for data transfers out of ArcGIS Online. These plans must be renewed annually but include ESRI technical support. Similar to other vendors ESRI offers a 24/7 with 99.9% up time SLA however ESRI only applies this SLA for up to 1000 concurrent users. This is not an unreasonable limit for most use cases. ESRI provides geographically redundant fail over servers. 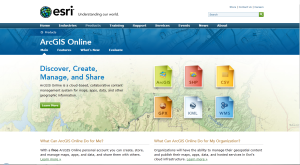 ESRIs ArcGIS Online infrastructure is based in the USA. The architecture uses Akamai content distribution networks to provide local resource caching for applications outside of the USA. As a result the solution may not provide a suitable match for organisations with concerns about the US Patriot Act or fears over data residency. A conceptual diagram of the architecture can be found here. 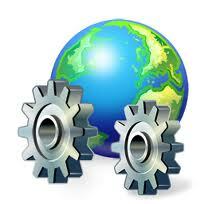 Task Services (Geocoding and Routing) are limited to 1000 batch geocode, 5000 routing requests per 12 month period. Free for evaluation, development, external non commercial use, teaching as part of formal education. Static Maps - ESRI licenses the map services for use as static maps in printed or digital reports and PowerPoint presentations for colleagues, subsidiaries, and customers. Unlike the default Bing licensing ArcGIS.com bing maps are licensed for use as static maps within documents or presentations for internal purposes. These maps cannot be resold, sublicensed, or otherwise transferred without prior, written permission of Esri. Microsofts Print Rights for Bing Maps must be complied with. This applies further constrains on the use and number of maps that can be produced. No Turn by Turn Routing - the services cannot be used in connection with any real time navigation system that provides turn by turn routing. Not create derivative/value add web services without express permission of ESRI. For publicly available information, similar to other public sharing focused sites, ESRI ensures all users "grant Esri and end users of ArcGIS Online permission to use, reproduce, prepare derivative works of, and distribute content, subject to any use constraints you provide". Commercial web application licenses are "per principal unique domain identifier". eg. in example.com or example.com.au the full text of this url represents a principal unique domain identifier. ArcGIS Online is the most difficult cloud web mapping solution to understand from those Georelated has reviewed so far. This may be a result of the breadth of the offering or high number of marketing buzzwords scattered across the documentation almost obscuring a comprehensive set of capabilities for cloud GIS. 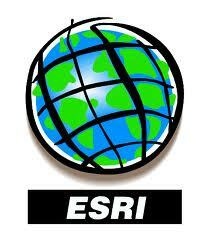 In comparison with Bing and Google the ESRI offering is far broader and deeper. The product is highly integrated into the ESRI ArcGIS suite and offers far richer and broader array of development apis than Google Maps and Bing Maps. ESRI also provides a broader selection of content to support the service than Microsoft or Google. As you would expect from a vendor dedicated to GIS the offering is more suited to the solving GIS problems than Bing or Google however, the result of this is that Bing and Google appear easier to apply to simpler location enablement tasks. Out of the blue, a little venture can give the market's enormous fish a keep running for its cash. Making it a comprehensive domain to run business in. fb follower, It is now one of the most important advertising platforms for businesses.You should try this for atleast..
By promoting your Facebook business page through the ads you place on Facebook,facebook reviews buy you are guaranteed that the people you are targeting with your ads already have a Facebook account.